OnDeck Softball’s Derek Allister: "What We Look for In A Player"
Derek Allister speaks to Salt Lake City Tryout attendees on Saturday. 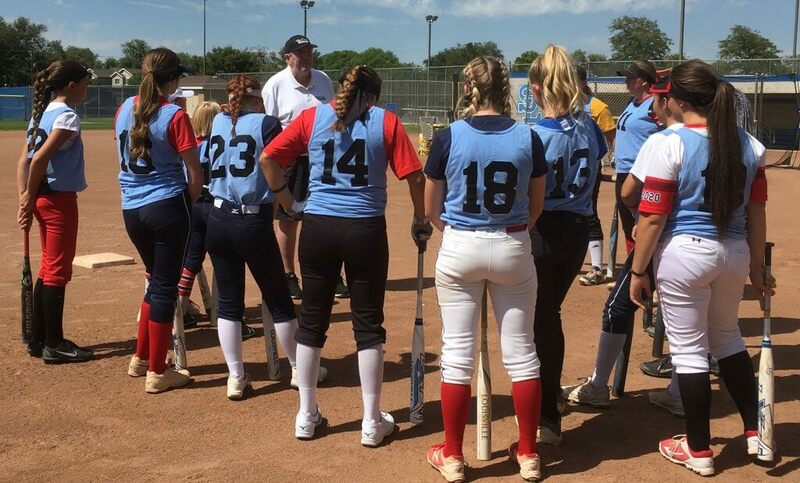 OnDeck Softball, created and run by Derek and Joann Allister and recognized as the premier recruiting event company, is in Salt Lake City this weekend putting on the 12th of the 14 tryouts that will take place during the 2018 season. 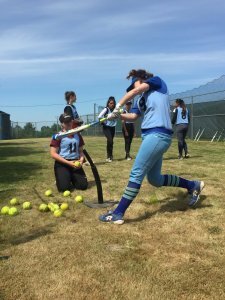 In addition to the tryouts, OnDeck Softball will put on nine Jamboree and National Elite Camps this year; you can click here to go to the OnDeck Softball website to see all of the events. We caught up with Derek on Friday as he and Joann were just arriving in Salt Lake City for their first-ever Utah Tryout and had the chance to ask them what they look for in prospective players for their Invitation-Only events which are so highly regarded by the college coaching community…. How does a tryout--like this weekend’s Salt Lake City tryout--fit into the series of OnDeck Softball events? In order to get into any of our events, a player has to be evaluated by OnDeck. We can do that in several ways: in our tryouts, from our scouting, and from video. About 51 percent of players at our events come from our scouting; another 48 percent come from our tryouts; and then one or two get in from video that people send us. Georgia infielder Alyssa DiCarlo came through the OnDeck tryout system. Photo by Emily Selby, UGA Sports Communications. Who are some players who have come thru the tryout system? We have had some great players show up at tryouts over the years. Just to throw out a few names you have Alyssa DiCarlo (Georgia), De’Nae Chatman (Arizona State), and Grace Lyons (Oklahoma). All three of them, along with many, many more, walked into OnDeck Tryouts and the rest is history. What do you look for in players who either tryout, are seen in your scouting efforts or who you see on video? Well, a popular saying in men’s college basketball when I was a basketball coach was “One man’s food is another man’s poison.” So there are no “right” answers to that. However, we simply look for players who fit our ideas in regards to athleticism and skill set. Can you share with us those ideas? To start, can you tell us about your ideas of athleticism? Of course. OnDeck Measurements (ODM®) is the unquestioned leader in softball testing and does much to identify the athleticism piece. After testing over 25,000 players of all ages and abilities, and gathering incredible data, ODM® helps us immensely. An infielder at the Salt Lake City OnDeck Tryout. We know by looking at the ODM® numbers whether a player truly projects athletically as a college middle infielder, outfielder, pitcher, or whatever at the next level. ODM® has those numbers wired. A college middle infielder has to be able to run the 5-10-5 shuttle in 4.8 sec or better, or else she can’t cover like she needs to. We know this by our numbers, so ODM® helps us a ton. Well, after their athleticism, we then look at a player’s skill set. Infielders at any level in college have a certain level of skill in the fundamentals of the game. 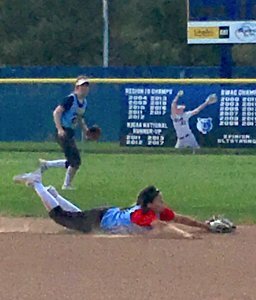 Questions we ask ourselves as we watch a player field ground balls are, Does she field the ball out in front of her base? Does she have a good backhand? Are her hands soft enough? Can she move laterally, and how are her feet? How does she react instinctively? Does she have a college arm? Can she throw from different arm angles, if she plays the infield? There are a myriad of similar questions that tumble thru our minds as we watch a prospective athlete’s every move. We are looking for reasons as to why a young player might be able to make it at the next level and what might be things that will hold her back. Players hit off the tee at the Salt Lake City Tryout. And hitting is more than the act of crushing it over the fence. As I tell players at every event we run, most solid high school players can hit a home run if the pitch is right in their zone. But what happens when a pitch is up and out, but still in the zone? Can she take it opposite in the 8/9 gap? Can she handle the inside pitch and keep it fair? Or does she just jack a long foul ball that is simply a strike? Will she hit for average? For power? For both? And where might she hit in a college line-up? And at the most basic level, does she miss? Does she “whiff”? One of the greatest college coaches in the country looks at that simple fact as she watches young hitters. Does she whiff? Can she hit off a real college pitcher? If a hitter misses, there isn’t much any coach can do to make that young lady a college hitter. What about pitchers? And catchers? As for pitchers and catchers . . . can a pitcher throw strikes? Can the pitcher make the ball move thru the zone? When the ball leaves the pitcher’s hand, does the hitter know that pitch is going to be a ball or a strike? If a ball is a ball, and a strike is a strike when it leaves her hand, we have a problem. Derek Allister (third from left) oversees pitching drills at the Irvine Tryout held in February. The good pitcher is one who keeps the hitter guessing. She knows where the ball is going and is constantly on the edges of – or just outside – the zone. Is the combination of velocity and spin adequate to get hitters out at the next level? And then there are catchers. Can a catcher control the bases? 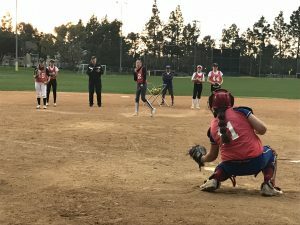 Does that catcher help her pitcher? Is she just a receiver? Or is she really a catcher, incorporating many intangible qualities in addition to the obvious physical ones? And finally, are both players durable enough physically to survive a college season? Is this basically what college coaches look for as well? Somewhat. But college coaches have a much harder job. They need to factor in personality, academic fit, sociability, specific team needs at that point in time, and a host of other factors. We don’t need to do that. Any final thoughts in what you look for as you search for the next group of future All-Americans? As we watch, take notes, and absorb every movement, every nuance of a potential recruit, these things constantly pop into our heads. But it is invigorating and thrilling as we discover those who we think are fundamentally, physically, and mentally capable of performing at our events and moving on to the next level. But, as we said, one man’s food is another man’s poison. Are we always right? Heavens no! Do we miss? Of course. We are only human. However, we see thousands and thousands of players each and every year. Over 98 percent of OnDeck players go on to play softball at the collegiate level. 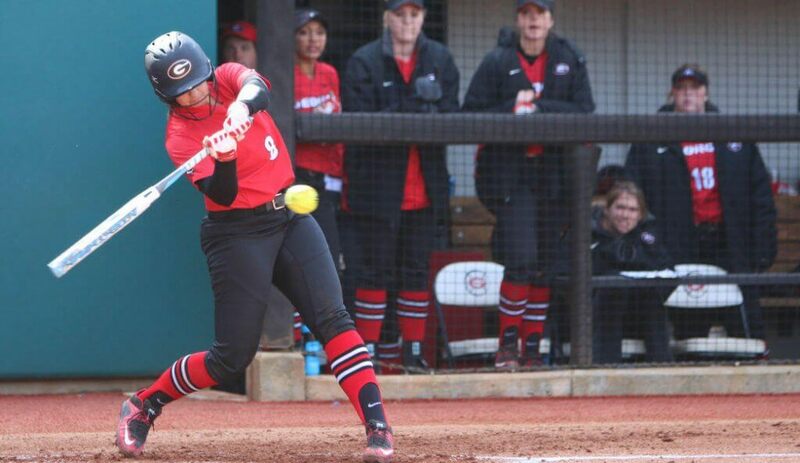 At one recent Womens’ College World Series final series, 18 of the 20 starters were alumni of OnDeck events. OnDeck players also populate USA National teams each and every year. I think we have a pretty good idea of what we are doing. But there is a lot more to it than most people believe. One mom tells me to this day that she still has no idea why I chose her daughter after a tryout when the daughter was young and never even hit the ball to the outfield grass in BP. That young lady will be playing at a Top 50 RPI school next year so I feel good about that. In our minds, whenever we walk up to a field, we always believe that this will be the time we find the next Alyssa DiCarlo. And that young lady might be in SoCal. In NorCal. In Texas. In Minneapolis. In Louisville. Or in Salt Lake City. The key is we want to find her. We want our paths to cross with hers. We want to be there for her to see if we can help her reach the school of her dreams. That is our goal. That is our dream each and every day.